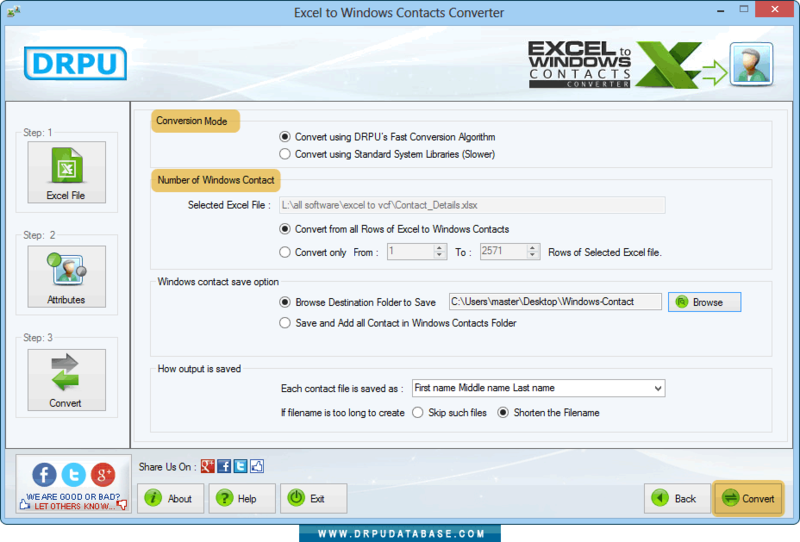 Browse excel file of contacts to convert into windows contacts and click on Next button. 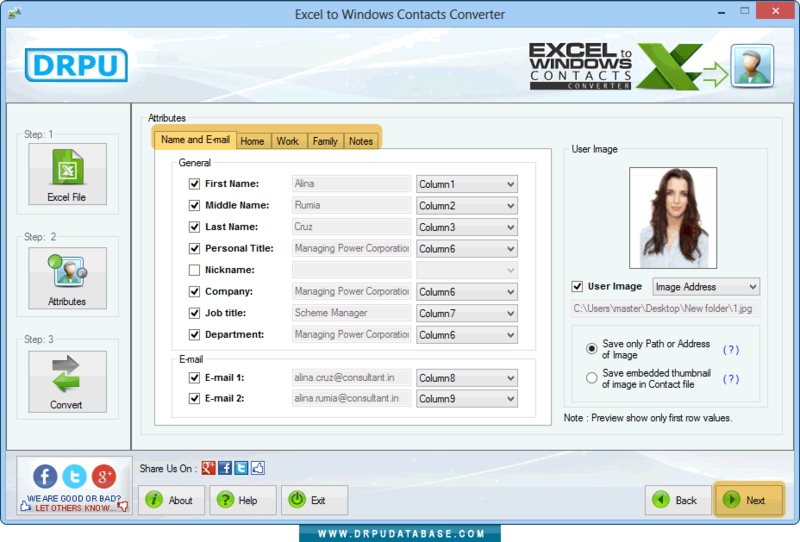 In Attributes, select various contact details including First Name, Middle Name, Last Name, E-Mail1, E-mail2 etc. Click Next button to continue. 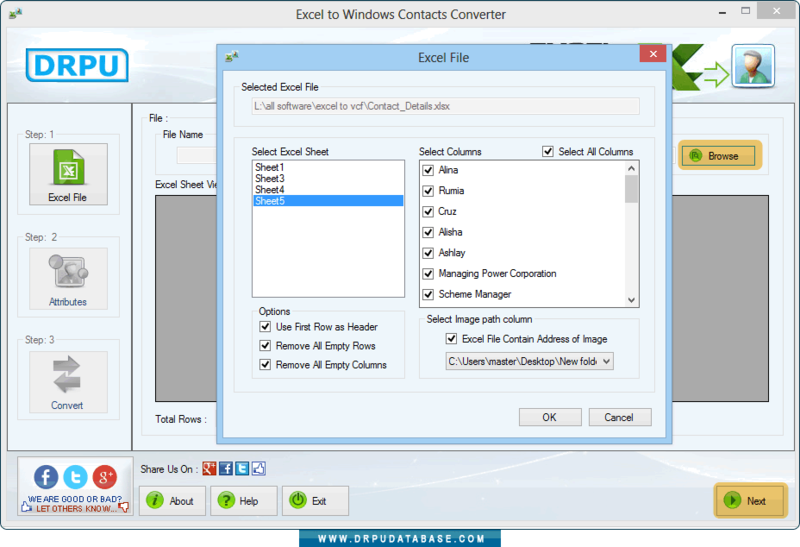 Choose conversion mode, number of windows contact, select windows contact save option and how output is saved option. 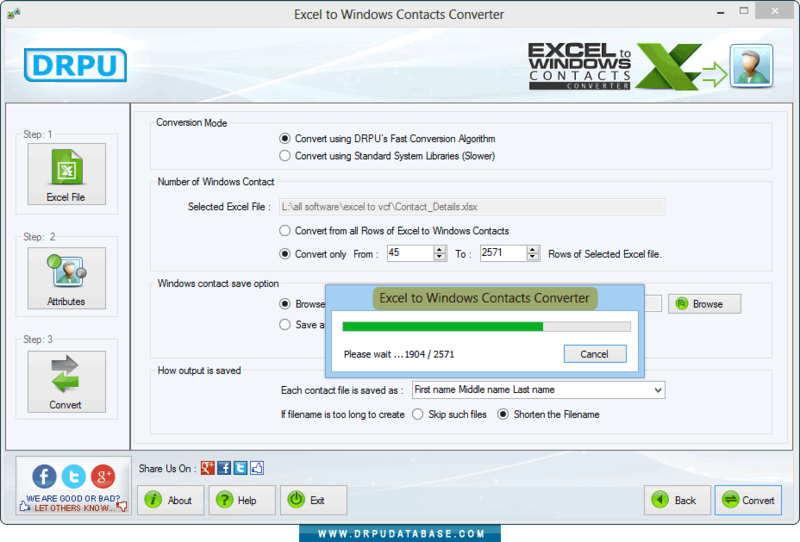 Click on Convert button. You can view the running status of conversion process.